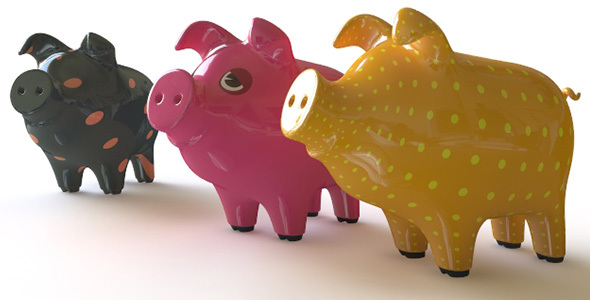 3D model of colorfull piggy coin bank. Created with 3DS Max 2008 and Vray 1.5. MAX , 3DS, OBJ , PNG, HDR inside. Max2008(1.8mb), Obj(1.6mb), 3DS(0.6mb).